Tesla is a world-famous automotive and energy company. The company specializes in electric car manufacturing and, through its SolarCity subsidiary, in solar panel manufacturing. 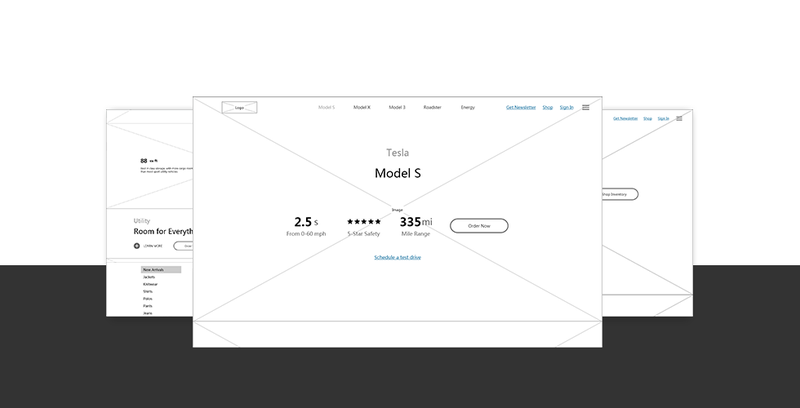 This template is taken from Tesla’s official website. Its high-end large picture is accompanied by text layout, showing car’s luxury feeling. It mainly uses the showing/hiding of menus for interaction. This template explains the characteristics of the four products respectively, which is very suitable for the company to display its own products as the official website.